Larry Harbolt is the nation's leading creative Seller Financing expert as well as a popular national real estate speaker and teacher whose time-tested strategies and nuts and bolts teaching style has helped thousands of aspiring real estate entrepreneurs realize their financial dreams with little or no money and without the need for credit. 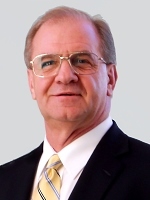 Larry has been successful creatively buying and selling real estate for over 30 years and has written numerous popular articles and real estate courses. Larry is so respected in the industry that NBA Super Star, Shaquille O'Neill has purchased his courses and he is one of only two real estate teachers whose works have ever been inducted into the Library of Congress. Larry Harbolt 's reputation of being one of the best "kitchen-table" negotiators who has the ability to make a deal where others cannot see an opportunity has made him a sought after consultant and mentor for real estate investors everywhere he goes. Larry is the real deal!